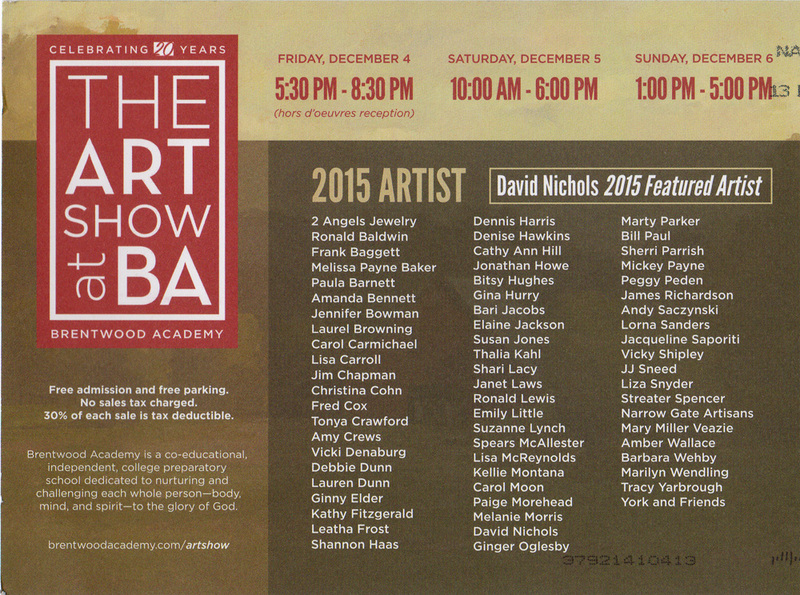 I am thrilled to return to Brentwood Academy this December to showcase a huge selection of new paintings. This is proving to be one of my best selections of paintings this year. If you are in the Nashville area don't miss this three day show. It is the perfect holiday outing to feast on over 60 talented artists and pick the perfect painting for your home or as a gift! (of course that would be one of my paintings!) Please come out and say hello. A Painting A Day 2015: it's BACK!